The seven continents, as you know today, were not present by default with the creation of the earth. About two hundred and fifty million years ago, there was only one supercontinent, Pangaea, with only one super ocean surrounding it, Panthalassa. Then how did the seven continents come into existence as you see them today? Starting with the ancient twofold division during the pre-Christian era, the designation of big contiguous landmasses on earth reached its climax in the mid-20th century when the 7 continents list was finally completed. Here you will learn about some interesting 7 continents facts unknown to you before. The fifth largest planet of the solar system, the earth revolves at the speed of nearly 30 kilometers per second around the sun. About 29 percent of the earth surface is covered by land while the remaining 71 percent of it is water. There are seven big contiguous land masses, called continents, and thousands of small pieces of land, scattered here and there in the oceans, called islands. Seven continents list is given below with the ascending order in terms of total area. 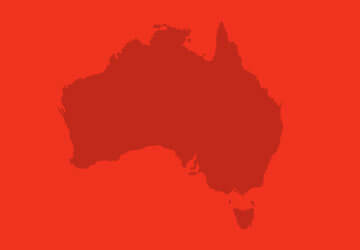 Australia is world’s smallest continent and the sixth largest country by area. However, in terms of population, it occupies the 51st place. Another name given to Australia and the surrounding islands is Oceania. Oceania consists of the Islands of the central Pacific Ocean. As a country, Australia spans across the area of nearly 7.7 million square kilometers. On the other hand, the area of Oceania as a continent is around 8.5 million km2. As listed by Camden, et al. (2003), here are some interesting Australia facts most of which might be unknown to you. 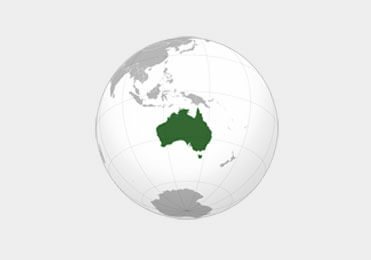 Australia was once the part of the supercontinent, Pangaea. It got separated from the mainland as a section Gondawanaland and drifted to reach the present location. The Dutch (not the English) were the first to explore the Australian continent in 17th century but they were not interested to colonize it. It was Great Britain that colonized the continent after losing America’s War of Independence. At the time of the exploration, the aborigines or first Australians has been living there for around 40,000 years. Today, the original people in Australia account for only around 1.5% of the total population. The largest city of Australia, Sydney, is named after Lord Sydney. He was an English government officer credited with the establishment of first permanent settlement on the continent. The second smallest continent, Europe is the western most part of the continental landmass, Eurasia. 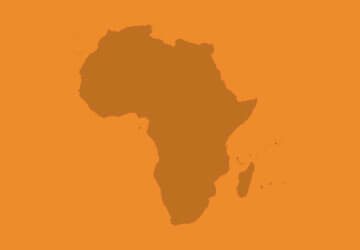 Two sides of the continent are bordered by two oceans, third by a sea and the fourth by a mountainous range. The Arctic Ocean forms a boundary to the north of the continent, the Atlantic Ocean to the west and the Mediterranean Sea to the south. To the fourth side, there are Ural Mountains forming an arbitrary boundary between Asia and Europe. The entire continent spans across an area of over 10 million square kilometers and is gives the sixth place on the 7 continents list. There are 50 sovereign states with other six territories given limited recognition. Old, low mountains to the northwest, broad norther plains, eroded mountains in the center and southern Alpine-Mediterranean Europe are the four major zones of the continent. In addition to being the land of explorers and colonizers, Europe is known for the interesting tales of Greek and Roman gods and goddesses. The ancients believed that different gods and goddesses, living on Mount Olympus, were assigned specific roles to govern the birth, life events and death of the people. 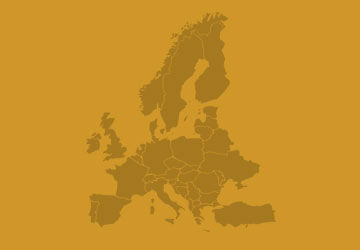 Some interesting Europe facts are listed below for your perusal and subsequent entertainment. The word "Europe" has been derived from a character in Roman mythology "Europa", an innocent Phoenician princes who was seduced by Zeus, the Father of Gods. 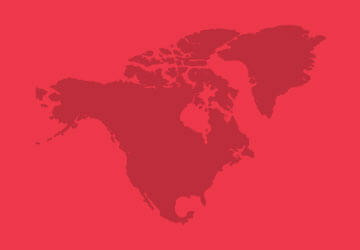 It accounts for the about 7% of the planet’s total landmass. More than half of the European countries (28 out of 50) are united under the flag of a political and economic union, called the European Union or EU. With its headquarters in Brussels, the EU has 24 official languages, and a population of over 510 million (European Commission). According to the latest UN estimates, the population of Europe is over 739 million which accounts for nearly 10 percent (precisely 9.94%) of the world’s total population (as of July 27, 2017). 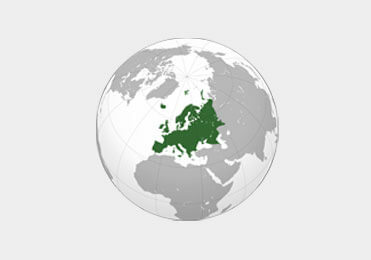 Europe is the world’s third most populous continent after Asia and Africa. On the 7 continents list by population, North America, South America, Australia and Antarctica are placed on the number four, five, six and seven, respectively. First sighted by Russians in 1820, the coldest continent on earth is house to 90 of the world’s ice – and still the driest place on earth! Containing the South Pole and located almost entirely south of the Antarctic Circle, Antarctica is the fifth largest continent in the world. The vast stretches of the coldest place on earth cover an area of over 14 million km2. 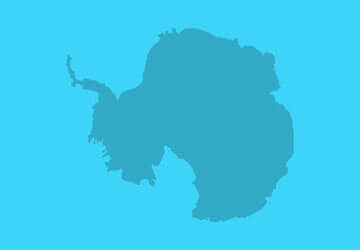 It is surrounded by the Southern Ocean, also called the Antarctic Ocean. Logically, the least explored land would be housing more mysteries than any other area on earth. And you might be equally curious to explore those mysteries. Here you go then. According to a British Antarctic Survey, Antarctica is about twice the size of Australia (the smallest continent) and around 98% of its area is covered by a 1.9 km thick layer of ice. Several superlatives are attached to Antarctica. It is not only the coldest and the least inhabited land, but also the windiest and the driest continent with the highest average elevation above sea level. Do you know there are no permanent residents on Antarctica? Around 1,000 to 5,000 people from many countries live their temporarily only for the purpose of conducting research. Which is the last region on earth to be explored and inhabited by humans? It is Antarctica which was first sighted by Russians not earlier than 1820. However, it was Norwegians who first landed on the continent in 1895. There are no cities but only research stations on the continent. The Antarctic Treaty System, signed in 1959, restrains the signatories from conducting nuclear explosions and disposing nuclear waste on the continent. As there are no permanent residents in Antarctica, it accounts for 0% of the world’s total population which is 7 billion, according to UN estimates on October 31, 2011. However, the total population is estimated to have reached 7.5 in April, 2017. South America lies to the south of North America with a narrow 2,000 km long strip of mountainous land lying in between them. The continent is bordered by the Caribbean Sea to the north, the Atlantic Ocean to the east, the Pacific Ocean to the west and Antarctic Ocean to the south. 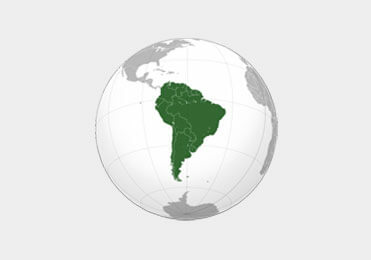 The fourth largest continent, South America spans across an area of over 17.8 million km2, accounting for around 12% of the planet’s total landmass. 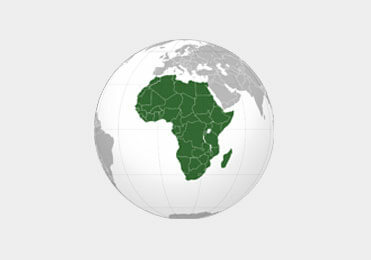 There are 12 independent states and 3 dependent territories in the continent. The largest and the most populous county of South America is Brazil with the area of over 8.5 million square kilometers and the population of more than 207 million (2017 estimate). Let’s learn some interesting South America facts as listed below. World’s longest mountain range, the Andes Mountains, and the world’s largest tropical rain forest are on the South American continent. The rain forests here get rain every day while there are some desert areas which have never had rain! When a Portuguese explorer and navigator, Pedro Alvares Cabral, landed on Brazil in 1500, the land was inhabited by numerous tribal nations, the indigenous Brazilians. A 22,834 feet tall peak of Aconcagua is the highest point on the continent. Lying 40 meter below the sea level, the Valdes Peninsula marks the lowest point on the continent. Do you know the name of the longest river in South America? It is the Amazon River. It is also the second longest river in the world after the River Nile. However, carrying more water than any other river, it is considered the world’s largest river. South America also houses the driest place in the world, the Atacama Desert in Chile. The Angel Falls are the world’s highest uninterrupted waterfalls located in the South American country of Venezuela. Do you know the Amazon rain forest may be housing more types of plants than anywhere else in the world? Some plants growing in the forest carry great medicinal significance. 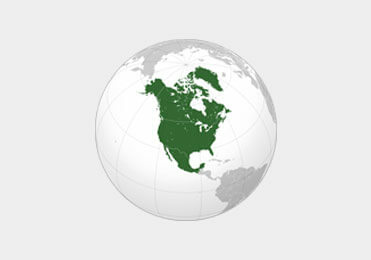 Also called the northern continent of the Americas, North America is the third largest continent representing 16% of the planet’s total landmass. Extending from North Pole to the Tropic of Cancer, it covers an area of around 24.7 million square kilometers. Here it is pertinent to note that the word “America” may refer to either the North American continent or the country of the United States of America. The US is made up of 50 states. In many cases, while talking about America, people do not mean the Americas or the North American Continent – they mean the United States of America (the US)! The continent lies entirely in the Norther Hemisphere and almost entirely in the Western Hemisphere. In total, there are 23 officially recognized sovereign states and around 22 dependent territories, governed by the US, the UK, Netherlands, France and Denmark. The US is the third largest country by population after China and India. It is also third or fourth largest country by area. Bordering the Hudson Bay, the Canadian Shield is the oldest part of the continent. A 2,000 km long narrow strip of mountainous land links North America with the South America. This region is known as Central America. Connecting the Pacific Ocean with the Caribbean Sea, the 80 km long Panama Canal in Central America serves as a key route the international maritime trade. It’s the major source of revenue for the Republic of Panama. 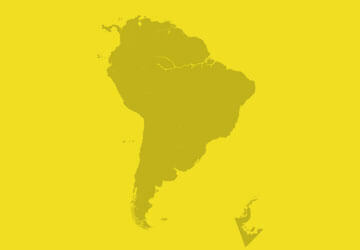 Do you know the continents of North and South America remained totally unknown to the Europe for thousands of years? The colonization of the American continents by Europeans started after 1492 when Christopher Columbus, an Italian explorer and colonizer, discovered the New World. The Spaniards were the first to colonize the New World followed by the English, Danish, Dutch, Portuguese and French colonizers. Known as the “cradle of humankind”, Africa is the second largest continent on the 7 continents list spanning across the area of 30 Million Sq. Km. It houses the world’s largest desert, the Sahara Desert and the longest river, the River Nile. There are 55 UN-recognized sovereign states in the continent. With the population of 1.2 billion individuals, it ranks as the second most populous continent of the world after Asia – the largest and the most populous continent. The history of human activities on the continent can be divided into seven periods. Moving in chronological order, these periods include Evolution, the Pre-History, Formation of African States, Conflicts with Europeans, 19 Century Commerce, Colonization, Decolonization and the Post-Colonial Era. Adeola (2016) in '2222 Facts About Africa' reveals some astonishing Africa facts. The most interesting of those are listed below. Besides adding to your knowledge, you’ll also enjoy learning them. Hominids, the ancestors of humans, evolved as early as 5 to 10 million BC and populated the continent. Why do you call Africa the ‘cradle of humankind’? It is because the fully developed human species (Homo sapiens) appeared in roughly 4000 BC on this continent. The city states of Swahili, Ghana, Songhay and Mali are some of the earliest African states which depended on one another for trade. The Atlantic slave trade during the period from 1450 to 1815 resulted in the removal of around 11 to 15 million Africans from their communities to the New World (America). The Sahara Desert had been a great barrier to trade between the northern and western parts of Africa. The Berbers from the northern part and the Negroes from the western part overcame this barrier when they started mutual trade through the Sahara during the 4th and 5th century. The highest average life expectancy on the African continent is 74 years in the island nation of Mauritius. The Sub-Saharan Swaziland shows the lowest average life expectancy on the continent, i.e. just under 32 years. Do you know more people speak French in Africa than in France? Kalenjins, a tribe in Kenya, is known for producing most of the fastest runners in the world. Which is the only country in the world lying completely 1,000 meters above the sea level? It is Lesotho in Africa. In 2010, the sale of secondhand underwear was banned in Ghana, a country in Africa. Around 25% adults in the country of Swaziland are infected with the AIDS causing virus, HIV. Did you ever hear about President Banana? He was the first president of Zimbabwe! 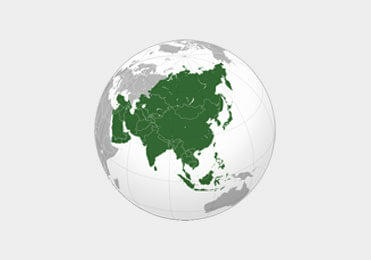 Asia is not only the world’s largest but also the most populous continent. Its area is more than 44 million square kilometers while the number of inhabitants is over 4 billion. The continent is located entirely in the northern hemisphere and almost entirely in the eastern hemisphere. The continental landmass of Afro-Eurasia is shared by Asia, Europe and Africa. While Africa is known for origin and evolution of modern humans, Asia is regarded as a sight for many of the first human civilizations in the world. Arbitrarily divided along the Ural Mountains, Europe and Asia share the same continental mass, called Eurasia. 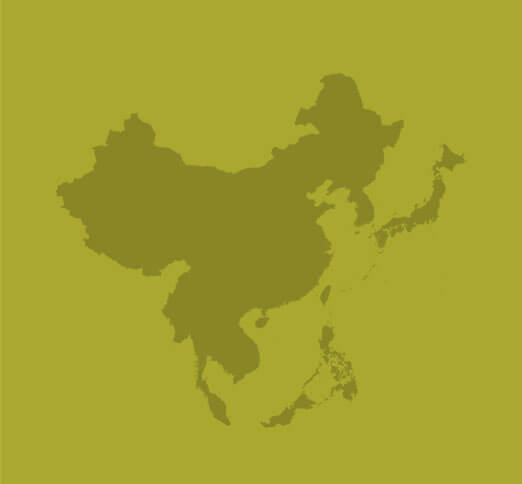 Let’s explore some interesting Asia facts which may not already be known to you. The world’s highest and lowest points are in Asia. The 29,035 feet high Mount Everest is the tallest mountain and lying below 1,312 feet below sea level, Dead Sea is the world’s lowest point – both in Asia. The Asian continent makes a coastline with three of the five world oceans, the Indian Ocean (to the south), Pacific Ocean (to the east) and Arctic Ocean (to the north). The western edge of the continent comes into contact with three important seas in the world, Mediterranean Sean, Black Sea and Red Sea. There are 48 UN-recognized sovereign states and 6 dependent territories in Asia. Two countries in the world stretch across the continents of Asia and Europe. These are Russia and Turkey. While three sides of Asia are bordered by three oceans, the fourth side ends at the Ural Mountains, lying between Europe and Asia. The northern part of the continent is called Siberia which remains covered with snow and ice most of the year. While South Pole lies on the continent of Antarctica, the North Pole lies in the Arctic Ocean, not on the Asian or European continent.